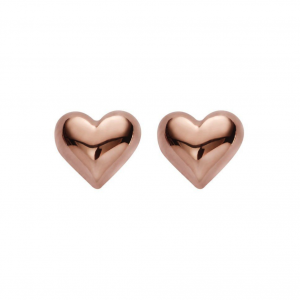 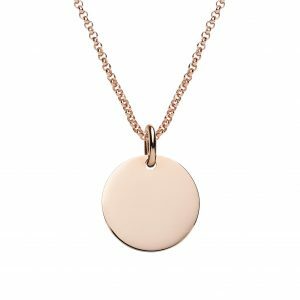 Sterling silver, plated with rose gold. 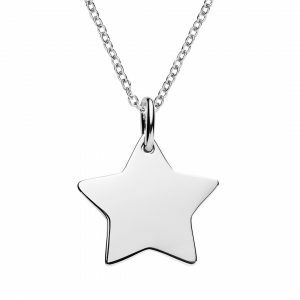 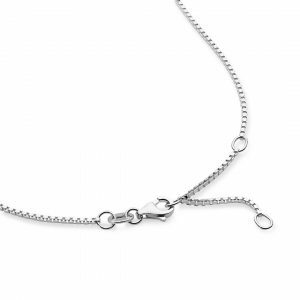 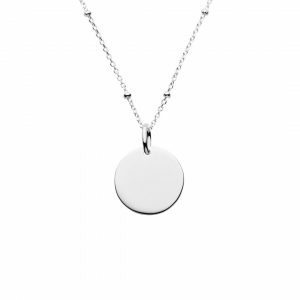 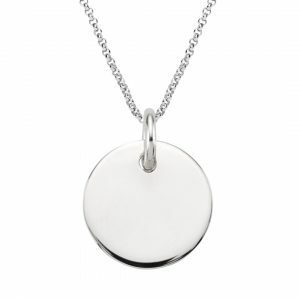 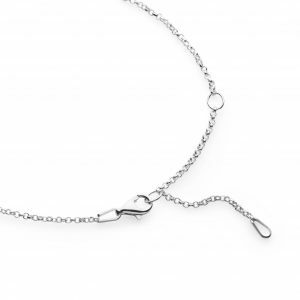 This box necklace chain can be worn at a variety of lengths and has a lobster clasp. 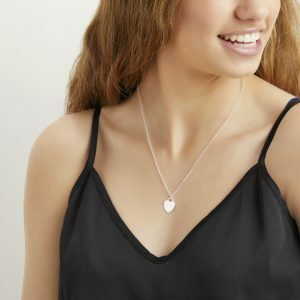 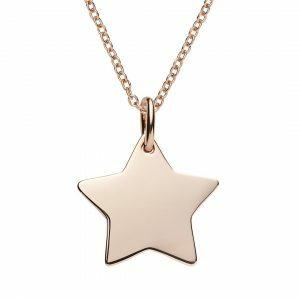 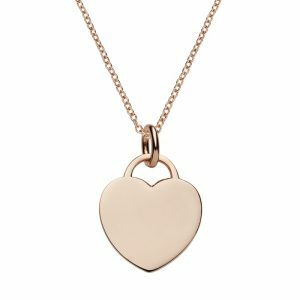 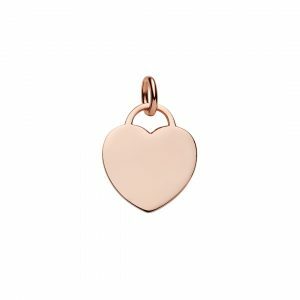 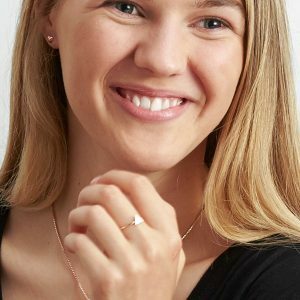 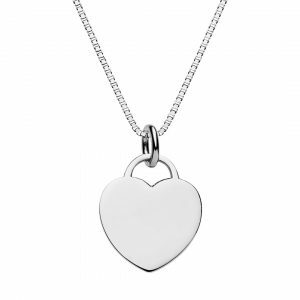 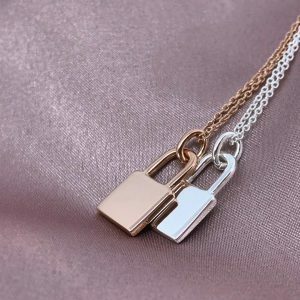 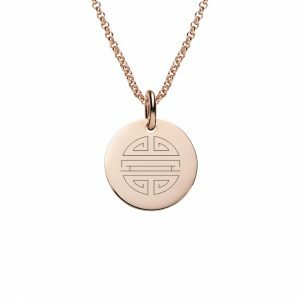 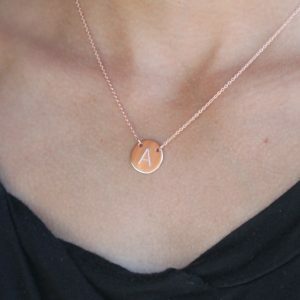 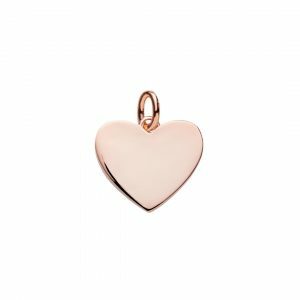 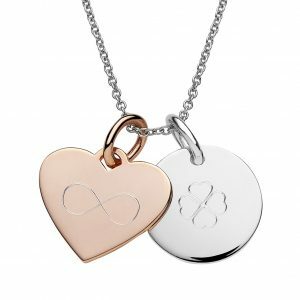 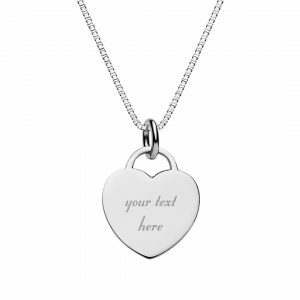 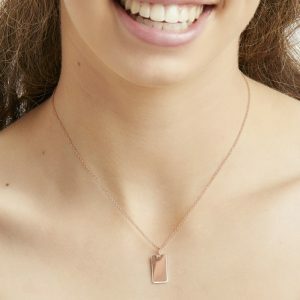 This chain catches the light beautifully and is perfect partnered with one of our rose gold engravable pendants like the heart pendant pictured. 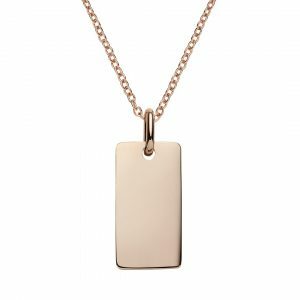 Material: 925 Sterling silver, rose gold plate. 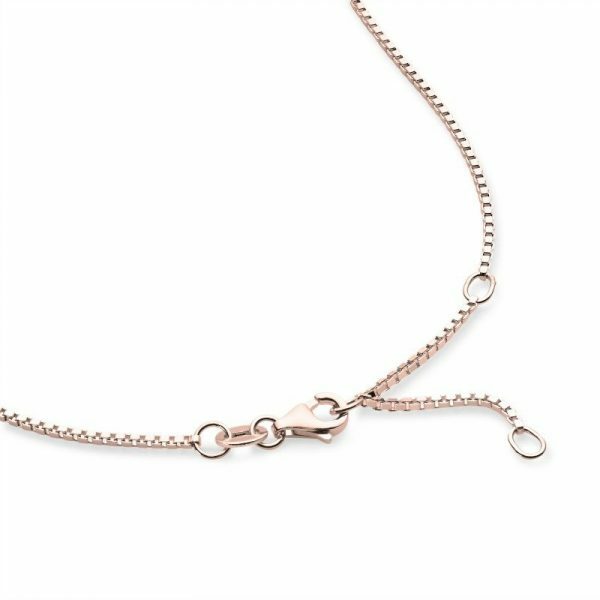 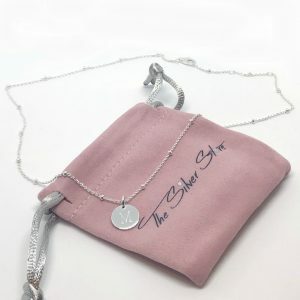 Sterling silver, plated with rose gold box necklace chain with lobster clasp.